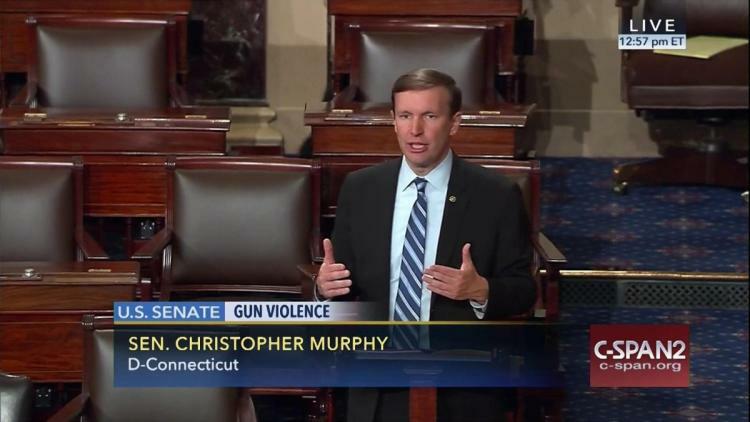 Last week, freshman Senator Chris Murphy (D-CT) ended a marathon fifteen hour filibuster demanding that Congress finally do something — anything — about the gun control issue. Just days prior, a gunman committed one of the deadliest mass shootings in modern American history when he stormed into the Pulse gay nightclub in Orlando, Florida with a semiautomatic assault rifle, shooting and killing 49 victims and wounding 53 more before being killed by police. Most of the Orlando shooter’s victims that night — the twelfth of LGBT Pride Month — were Black and Brown LGBT clubgoers out for a night of drinks and dancing at Pulse’s weekly Latin night. This was the 176th mass shooting in 2016 alone. To date, nearly 1,000 Americans have been wounded or killed in mass shootings, and the year is not yet half over. There are, quite simply, no words left to utter about this tragic, angering, inexcusable status quo except these: we need better gun control. When Omar Mateen, Orlando shooter, attacked Pulse nightclub early Sunday morning, he did so with a legally purchased Sig Sauer MCX and Glock17 handgun. The rifle was first developed at the request of US military to accept a range of ammunition types, and its specialty is its built-in silencing technology. On June 12, Mateen used his MCX to fire a still unknown number of bullets at a rate of 24 rounds in 9 seconds. The MCX is, without a doubt, a weapon of war. Common sense dictates that this gun — whose only purpose is to maximize the task of ending human lives as quickly and efficiently as possibly — does not belong on the civilian market.